One of every healthcare provider's biggest fears is being named in a lawsuit. Although most did not go into the healthcare profession with the intent to harm, sometimes harm does occur. Often the only way to determine if harm was negligent is through the civil court system and, in extreme cases, the criminal courts. For a patient or family member to seek litigation, four components of medical malpractice must be met for the case to be viable. Every state has different civil litigation procedures; the general process is the same. This article aims to assist the reader in understanding the basic components that make up a medical malpractice case. For any case to move forward or be considered, a duty to the patient must be established. This duty is generally easy to establish, especially when a patient is admitted to a healthcare facility. Once admitted, the facility has a duty to care for the patient as established by the prevailing standard of care. Each healthcare provider who cares for the patient is also accepting the obligation and duty to care for the patient and will be held to the standard of their profession. When nurses come onto their shifts, it becomes paramount to insure that they can safely handle and manage the patient assignment. Once they have accepted the assignment, the duty is established, and expectations for reasonable and appropriate care should be provided. Once the duty has been established, if the duty is breached, the second component of a medical malpractice case is solidified. For the duty to be breached, the standard of care for that healthcare provider was not upheld. So what is the "standard of care"? As most know, there is no magical book that tells healthcare providers what to do, as that is the artful component of their profession. Instead, the standard of care is generally accepted as what the same or similar provider would do in the same or similar situation. Essentially, if you have two nurses presented with identical situations — such as a low blood sugar — the standard of care would dictate that the nurses would both assess the patient and then provide interventions as ordered. If the nurse fails to act, this would be a violation of the standard of care and essentially a breach of duty. The third component is to determine if the breach of duty caused harm or injury. Although the duty was established and was determined to be breached, it must also be established that this subsequently caused injury or harm to the patient. Using our previous example, if the nurse did not act on the low blood sugar, yet there was no harm or injury to the patient, causation cannot be established and subsequently there are no grounds for a medical malpractice claim. In this component, the patient must establish that when the standard of care was violated, he/she was harmed as a result. The final component of establishing a medical malpractice claim is the determination of damages. The damages are the monetary value of the injury or harm to the patient. Depending on the damage and/or injury to the patient, this may be calculated in the form of lost wages and ability to work, distress from wrongful death, or any life-care planning expenses. 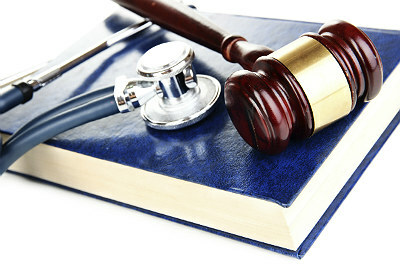 Typically, a medical malpractice case is expensive to take through the court systems. Often it can be up to $10,000 just to get the case filed in court. Therefore, most attorneys will not take on a case unless the damages are substantial in order to offset the expense. Although most healthcare providers have fears of being named in a lawsuit, hopefully they will have a better understanding of the components that must be in place for a patient or family member. However, if you are practicing as a prudent and reasonable provider, staying current and vigilant in your care, you generally have little to be concerned about in your daily practice. So just remember, practice safely and in the patient's best interest, and there likely will be no negligence established.